carsguide is a challenger brand that aims to make life simpler and easier for our customers, all while having fun along the way. We think and operate like a startup with the advantage of being backed by Cox Automotive. This gives us access to world-class infrastructure and potential career growth that only a multinational can provide, while still operating as a young innovator. Like a professional sports team, carsguide aims to maximise agility and collaboration. We want every employee to have a voice in our future. With us you will have the opportunity to make a difference and be heard, regardless of your job title. We believe that carsguide is your opportunity to do something great, which is why we only want to work with the very best talent. Headquartered in the middle of Surry Hills, Sydney's hipster epicentre and a block from Central Station, the carsguide office reflects and fosters the creativity we want to see in our team. With some of the best food, coffee and culture on our doorstep, there's never a dull moment at carsguide. carsguide has a startup attitude with the backing and resources of a multinational. As well as offering opportunities for career growth within a global company, carsguide also provides job stability, access to national resources and knowledge sharing. carsguide is a programmers dream. We religiously adhere to Agile principles, work with the latest technology on a wide variety of platforms and our hack days offer a chance for you to express your creativity while building teamwork. Plus, anything you need to do your job, we’ll make sure that you get it. Because we believe that buying and selling cars can be a joy, carsguide is all about having some fun. 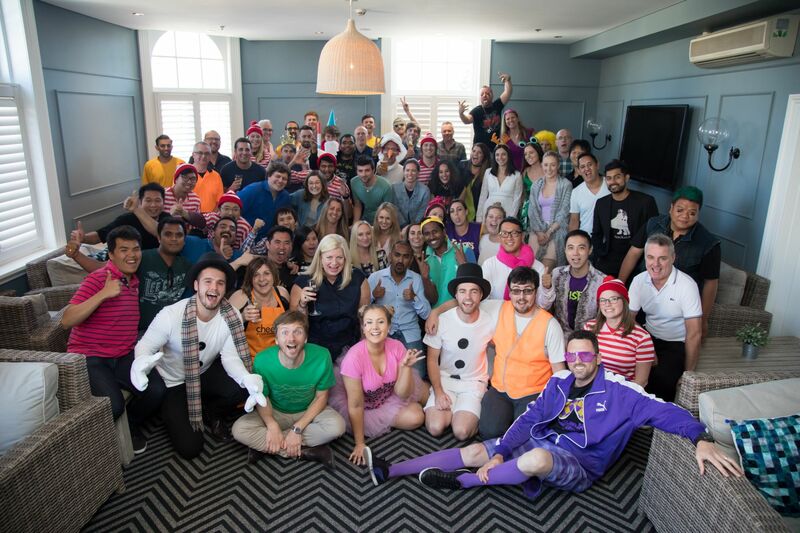 Compete in office-wide Wii tournaments or bake offs and cut loose at our legendary twice-yearly shindigs. Join us for lunch and coffee or our frequent team events and retreats and build relationships with other team members that might last a lifetime. Getting out of bed every morning can be a drag. That’s why we offer little incentives that make coming into the office at carsguide a joy. Take advantage of perks like our discounted gym membership or undo all your good work at said gym by diving into our pantry, stocked with a range of snacks, fruit and lollies. We invest in our people. You don't have to &QUOT;move up the ladder&QUOT; to progress at carsguide, and our employees follow many different career paths within the company. We send people to conferences and provide lots of educational resources to help you become the best possible you. WE EMPOWER AND GUIDE OUR CUSTOMERS TO CONFIDENTLY AND SIMPLY BUY AND SELL CARS. These are the values that guide our business, our product development, and our brand. As our company continues to evolve and grow, these five values remain constant. These are the positions we're currently looking to fill. Send your application to with your CV and a brief description telling us why you are right for the role. If you can't wait to work with us, but don't see anything that fits your particular set of skills above, we still want to hear from you! Send us your CV and your deets and we'll see if we can find a spot on the roster for you.